‧ Preset 16 selectable UHF channels. ‧ Single / Dual transmitter operation. ‧ Diversity technology prevents dropouts in the RF link. ‧ Noise mute and pilot tone squelch. ‧ Equipped with both XLR balanced and Ø6.3mm unbalanced outputs. ‧ Tuned antennas maximize the effective range of the wireless link. ‧ Compact half rack space design. ‧ An derivative version with BNC antenna connecter of US-8001D / US-8002D. ‧ PLL synthesized oscillator type. ‧ Powered by 2 AA batteries. ‧ Equipped with 4P Mini XLR connector. ‧ Compact, heavy duty plastic housing. ‧ PT-850Bmi offers a wireless solution for most musical instruments. · The growing family of headset microphones enables you to customize any application with the right microphones. · These microphones feature versatile adjustments for best fitting and picking up. The ergonomic design provides the ultimate low profile. 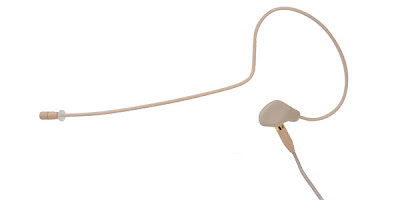 · Available in black and beige with various connecting configuration for other brands’ wireless systems.